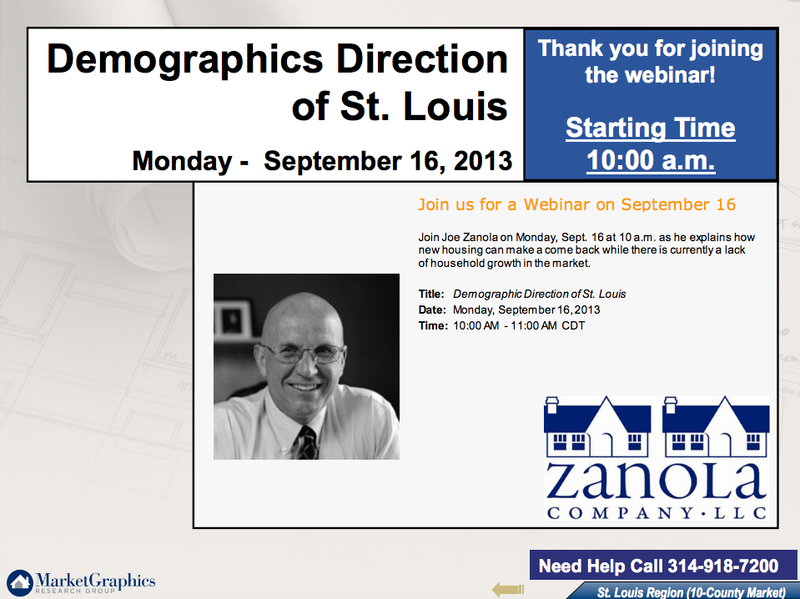 Last week during our latest webinar regarding the housing forecast for the St. Louis area, we received a great response and fantastic feedback. Therefore, we wanted to provide you with the video presentation. If you missed the presentation for any reason, now is your chance to catch up on what you missed. In a slow growth scenario, what new home types will appeal to St. Louis buyers? What neighborhood features do you think should have greater or less emphasis in a new community? We look foward to hearing your feedback ... Email us today!